Everyone has some or the other fear when it comes to giving an actual certification test. 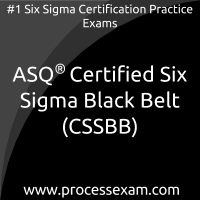 I was nervous when i decided to attempt ASQ certified quality auditor certification. I subscribed for the premium membership and i was quite relieved with the step-by-step preparation tests that cover every chapter and module with equal weightage to all the questions. I strengthened my weak areas. At present, i am on top of the world. I received 625 marks in the actual exam.